Happy Friday! It's the first day of spring and the snow has been coming down pretty steadily here for a few hours. I need to move somewhere warm. I've been wanting to try Zoya Brittany for a while and finally used it today. 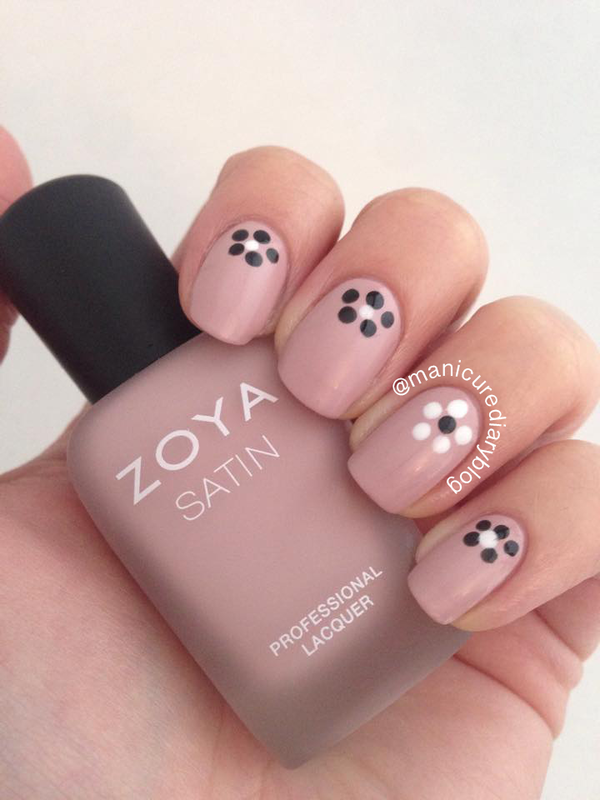 Brittany is from Zoya's new satin finish collection and is described as a rose mauve cream. I've heard a few complaints about the formula of the satin finish polishes, but I had no issue with mine. It applied nicely in two coats. 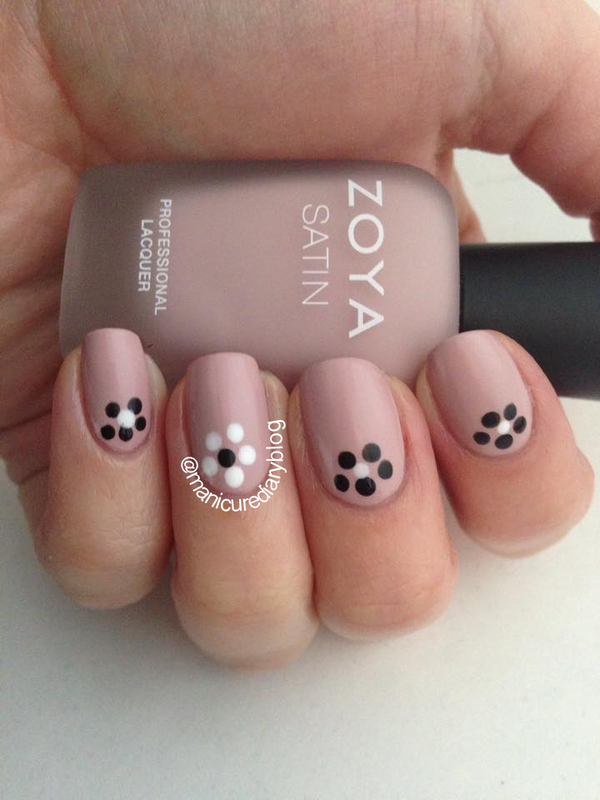 I did some black and white dot flowers, since apparently it's spring. 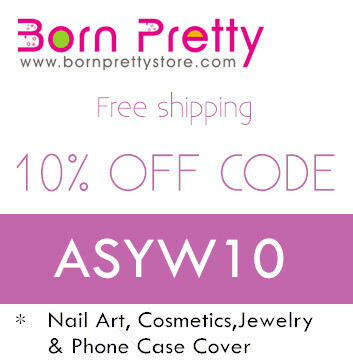 The satin formula is a hybrid between a matte and glossy polish. It is not intended to be worn with a top coat, although since I have Zoya's satin top coat I decided to use it. I actually happen to really enjoy this finish and I kind of want the whole collection...Self control, Brooke. Self control. I hope you all have a lovely weekend! I'll just be here picturing myself on a beach, drink in hand.